Since ancient times and through the centuries, gemstones have had a mysterious, magical history that has always fascinated people, regardless of continent or culture. Almost any stone or metal is said to have beneficial qualities that aid the wearer's healing by shielding against illnesses and spells. Specific stones, we are told, help the wearer concentrate during psychic and clairvoyant activities. The word bead comes from the Anglo Saxon words bidden (to pray) and bede (prayer.) 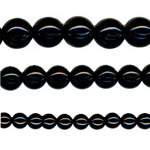 Prayer beads are used across the world and help to keep track number of number of prayers and sequence. Beads can also ward off evil, help bring wisdom and fortune or be used as a ‘worry’ – helping with decision making or to keep the hands busy. The mythology surrounding the amethyst mostly derives from ancient Greece. It is a symbol of sincerity and stability. The amethyst is instantly recognisable with its unique purple shades and is known as the “Rose de France”. It is a jewel that is coveted by both secular and ecclesiastical princes. The Russian Empress, Catherine the Great, sent thousands of miners into the Urals to look for it. As well as the popular belief it protects against ‘drunkenness’ being sobering and cleansing, it was also said to protect crops against tempests and locusts, bring good fortune in war and in the hunt, drive out evil spirits and inspire the intellect. One feature of the amethyst is that it changes colour upon heating. Common sources of the stone are Brazil, Madagascar and Uruguay. Onyx is a branded variety of chalcedony. Onyx is known to separate. It can help release negative emotions such as sorrow and grief. It is used to soften the blow of ending unhappy or bothersome relationships. Onyx jewellery is worn to ward off black magic or negativity directed at the user. The onyx gemstone promotes self- confidence and responsibility, sharpens the senses, helps self-mastery and self- control. It is believed to revive us when feeling depleted of energy. Onyx is a powerful gemstone to use in difficult or confusing times this gemstone will help you gain emotional balance. Onyx was a popular stone of the ancient Greeks and Romans. The name comes from the Greek word onux, meaning fingernail. Not the most attractive incentive to wear it, but the Greeks and Romans believed the stone came from the Goddess Venus' fingernails, which the mischievous Cupid cut off while she was asleep. The Fates decided to turn the clippings into stone to ‘leave no heavenly part of the body to perish’. Mother of Pearl (or Nacre) derives from the inner shell layer of molluscs, such as the oyster. It is iridescent, strong and resilient. Crystal healing and folklore tradition say that Mother of Pearl helps with high blood pressure, improving vision, dizziness, cataracts, and healing wounds. Mother of Pearl signifies innocence, faith and charity. It is a stone that is also known as a stone of sincerity, truth and loyalty. It is a protective stone, ‘mother’s love’. 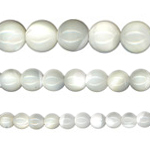 As the pearl is white, it therefore absorbs the heat, so is cooling and restful. 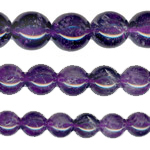 International Craft have a large selection of semi-precious beads, perfect for many aspects of jewellery making, all with their own special meaning. CLICK HERE to browse the page. What is a Gemstone Cabochon?